Why Should I Treat Recession? Just like the early stages of gum disease, gum recession is basically painless at first and does not affect everyday life. Since it happens at such a gradual pace, it often goes unnoticed and untreated for long periods of time. This is dangerous however. Receding gums can lead to a number of health and cosmetic issues that can be complicated and expensive to treat. Patients suffering from gum recession in Fair Oaks, CA should contact Dr. Andrea Joy Smith as soon as possible. Gum recession is most often a result of periodontal disease, which is caused by a buildup of plaque and bacteria that create toxins and destroy the tissue and jaw bone. Using an electric toothbrush at least twice a day and flossing daily are great ways to eliminate these toxic build ups in your mouth and help to prevent gingivitis and periodontitis. Problems such as bruxism or misalignment usually do not cause any noticeable changes right away. In fact, it may be months before any significant damage is inflicted on the teeth or tissue. This is why it is important to be conscious of your oral health so that these conditions can be noticed and treated before gum recession occurs. A healthy diet is a very important step in maintaining oral health. Eliminating sugary or processed foods from your diet can reduce the amount of plaque and bacteria in your mouth that cause oral disease. Also, eating raw fruits and vegetables provides stimulation which can strengthen your gum tissue and potentially help to prevent recession. Habitual use of tobacco products can contribute greatly to plaque and tartar formations and lead to gingivitis and periodontal disease. In addition to this risk, tobacco products are not good for your health and we strongly recommend avoiding these products. Since gingivitis is mostly painless and does not usually interfere with daily functions, it is easy to ignore. However, it can quickly escalate and lead to more serious conditions such as periodontitis, which causes gum recession. This is why it is recommended that you treat gingivitis as early as possible to prevent further complications. There are a number of factors that contribute to gum recession, and being aware of them can often help to prevent the onset or progression of this condition. 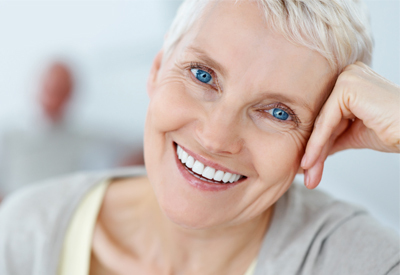 Patients suffering from gum recession in Sacramento, CA can contact Dr. Smith to schedule a consultation today!